For many people with a disability, having attendant care means they can live independently in their own home rather than in an institution, such as a hostel, nursing home or hospital. Attendant Care is a very personal and individual service. It should be tailored to suit your needs and your lifestyle. 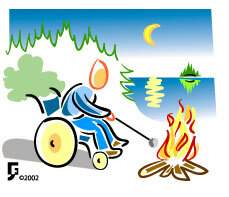 "The provision of assistance with tasks which a person who has a disability finds extremely difficult or is unable to do because of their disability, and in some cases due to their environment"
Attendant Care is a way of providing people with a disability with the help they need to do these tasks.